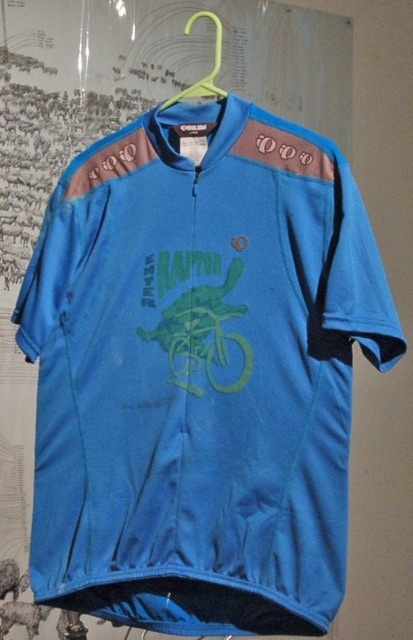 Donning a custom-made jersey, I rode with a bicycle jerry-rigged to go backwards when peddled forwards, and in acquiring this difficult skill I learned about unlearning everything I know about racing a bike. 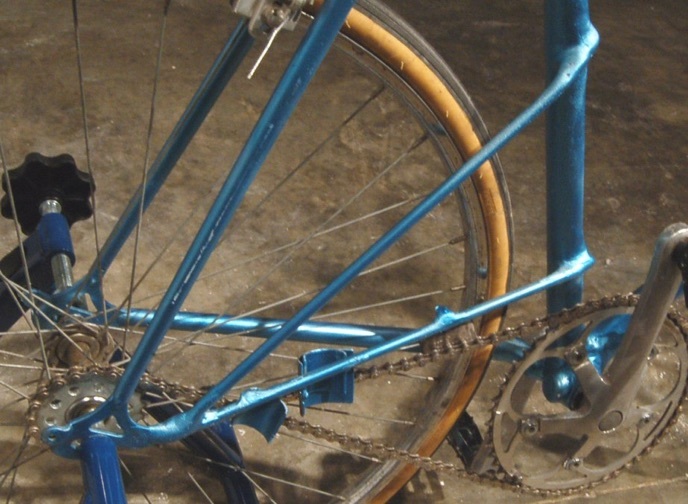 The slightly altered frame and figure-eight chain of my fixed-gear bike allowed me to do two things. First, I could race in reverse, reframing traditional competition parameters to win, but against the flow of other riders. Secondly, I had the option to peddle backwards in order to go forwards, a technique that allowed me to keep pace with the others, but with my pedals going in the opposite direction. Whether peddling forwards or backwards, I realized the limits of my conditioning and began to wonder how much it permeates my daily life. I selected material from everyday life because, as Mary Douglas states in Purity and Danger, “The more the symbol is drawn from the common fund of human experience, the more wide and certain its reception” (114). 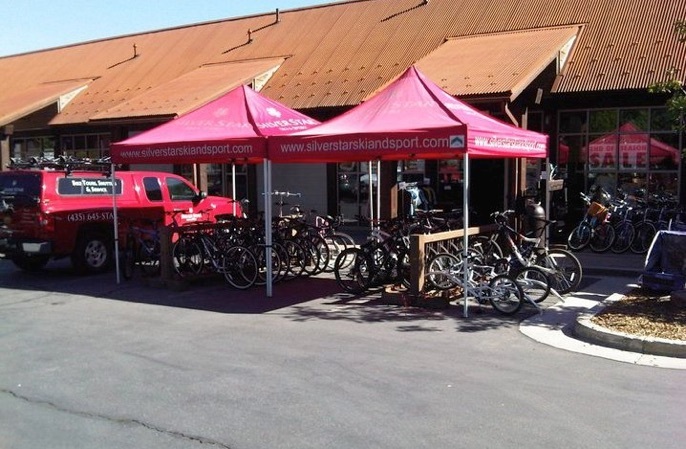 This bike was available for rent from Silver Star Ski & Sport in Park City, UT. The above video segment is from a much larger file of event documentation shot throughout southeastern Ohio.